This is the senarai of upcoming events from July'09 to November'09. I've been to several conventions back in the 70s. I had such a great time! I've seen and got autographs from every main bintang except for Spocks' ma! Even Mr. Mudd!!! I didn't see any weirdos'! The people there were just enjoying a common Cinta for bintang Trek! 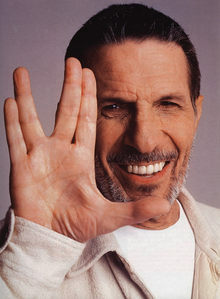 "live long and prosper"! Maybe anda should go to Basic Grammar convention instead & pick up a few tips on writing.. but that's just this robots' opinion.